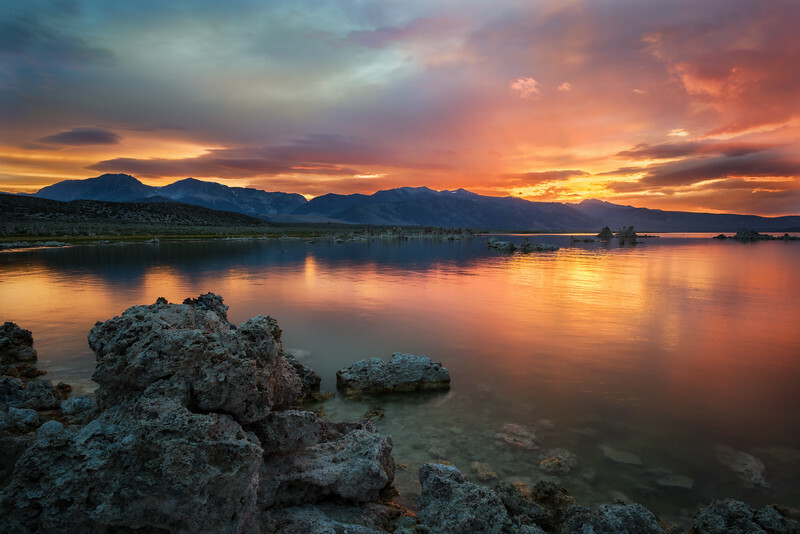 This iimage is of an unexpected and beautiful sunset at Mono Lake California. Most photographers were positioned at a completly different location looking the oposite direction of this sunset, and many had already given up and returned home. A small opening in the clouds over the eastern Sierras is all it took to illuminate the western part of the lake with spectacular light and a powerful afterglow about 5 minutes after the sun had technically set. This is one sunset I will never forget!